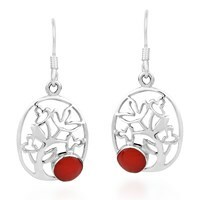 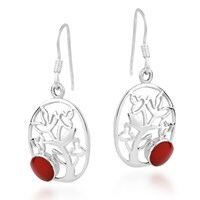 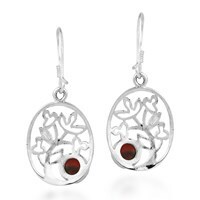 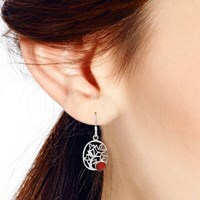 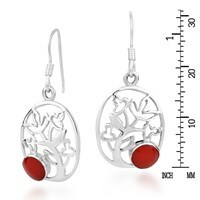 An oval red coral rests upon the branches of a tree of life in this earring set made by hand from sterling silver .925 in the workshop of Thailand's Artisan Khun Watsud. 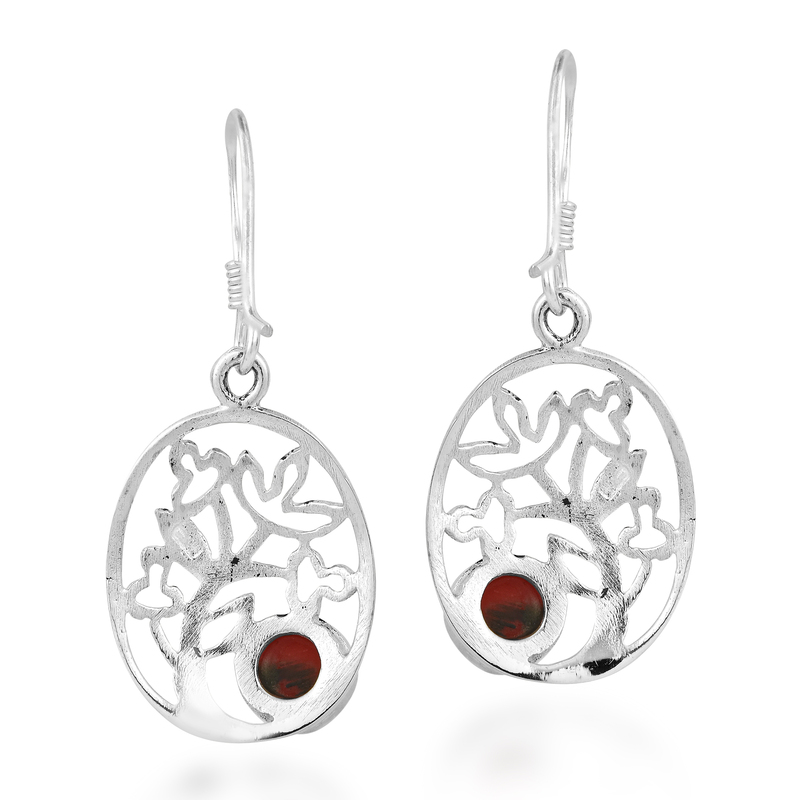 The pendant rests upon a dangle and features a fish hook closure. 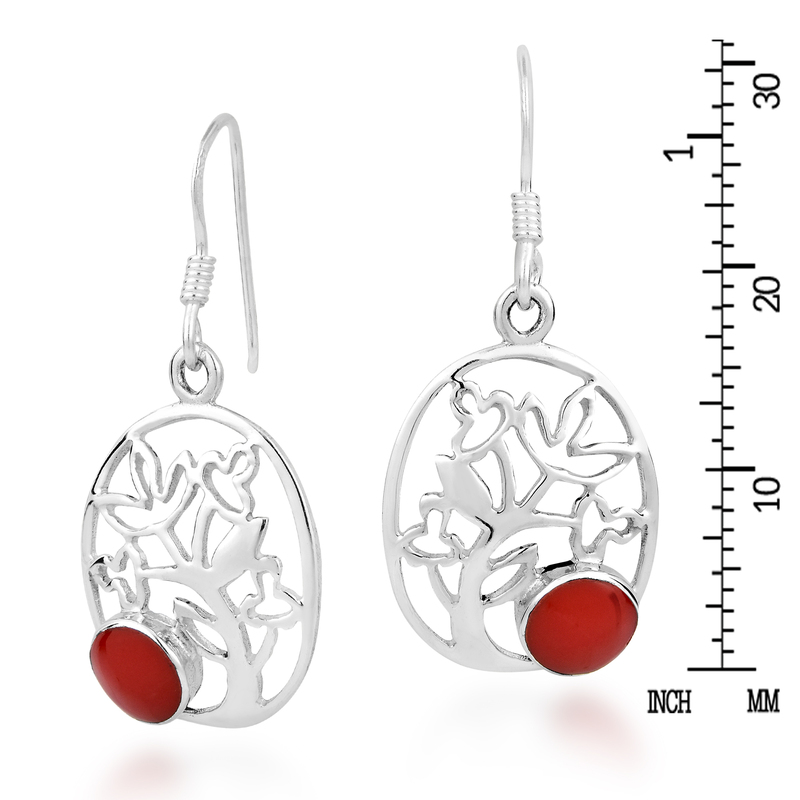 This set is an essential and versatile addition to any woman's jewelry collection and is fashionable for women of all ages.